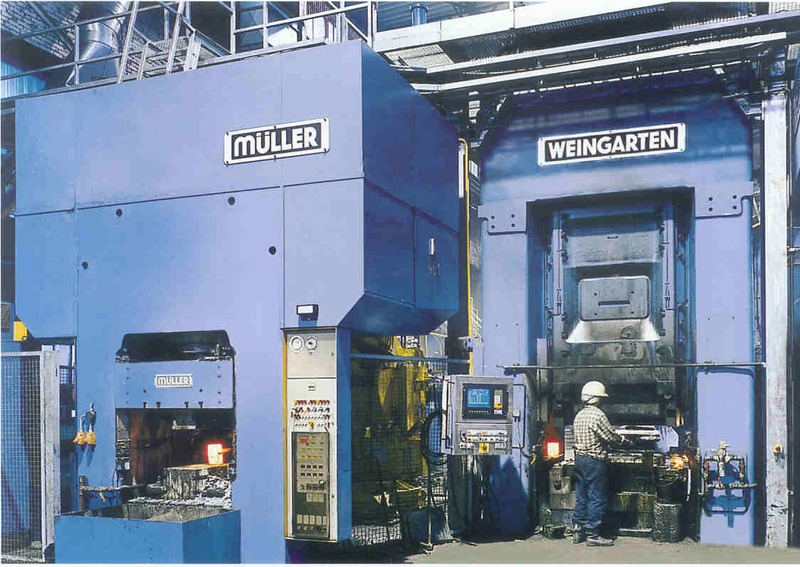 Muller Weingarten with nearly 100 years of experience is one of the world’s leading press manufactures. As a suppler of forming technology systems, the company offers a product line which covers the entire range of technical applications for hydraulic and mechanical presses, including automation equipment, and dies for doe casting and for forging. As an expert partner of the automobile, air transport, electrical and home appliance industries, Muller Weingarten develops custom-designed system solutions, which are tailored to the individual needs of customers. There are production sites in Esslingen and Weingaten in Germany, and in France, Italy, China and the USA. Weingarten product line spans the range from individual presses, forming and cutting presses, to automate press lines, to fully automatic casting centers. 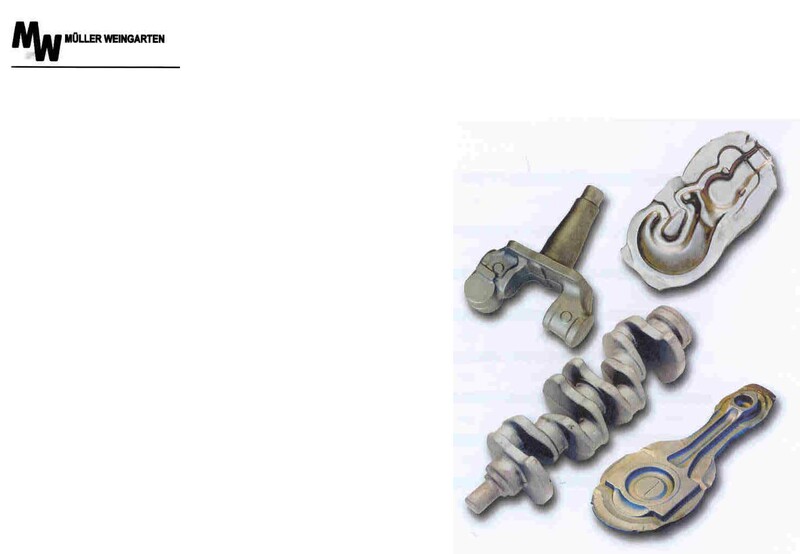 Weingarten also develop and produce tools and dies for every sort of sheet metal forming and forging, and screw presses for precision forging. A separate service division guarantees that Weingarten will be able to keep in touch with his customers’ need worldwide.